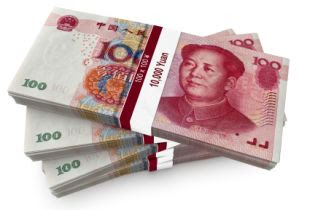 CHINA NEWS – Despite fastest economic growth in the world, China is suffering from a painful inflation that causes heavy burden on common citizens of the nation. In three years, China is witnessing its highest inflation rate, though government has increased interest rate and curbed on bank lending. Cost of all essential commodities in June has risen 6.4% from a year earlier, well above the rate from the last month. Analysts fear a social unrest would be possible in the very near future if prices of essential foodstuffs are rising in this fashion. The staple diet of Chinese is now available to the Chinese people at new height, whereas crops have been severely affected by severe flooding. The government also finds difficult to curb this monstrous inflation makes the issue a top priority of the nation. Beijing has already increase the interest rates three time this year to tackle with the problem. There is a hope of reducing inflation in the later part of this years as analysts predict that the ease in oil prices could ease the growing inflation rate. A report from China's CCBIS bank released earlier suggested that inflation would peak at 6.2% in June.